On Wednesday, March 27, 2019, the West Virginia Lottery Interactive Wagering Act (designated H 2934) became law. This bill will permit existing casino licensees in the state to expand their offerings by conducting casino and poker gaming online. The act had been sent from the state legislature to Governor Jim Justice early in March, but he refrained from either signing it or vetoing it, so it passed into law after he took no action for 15 days. As might be surmised from the name of the West Virginia Lottery Interactive Wagering Act, this law will put the WV online gambling industry under the supervision of the West Virginia Lottery Commission. This body will have the power to issue rules pertaining to the activity, be able to grant and revoke licenses, and will collect all fees and taxes levied on the gaming operators. Of course, there’s a price to be paid for the privilege of providing legal online gaming to residents of The Mountain State. A five-year license will run $250,000 although renewals – also valid for a period of five years – will cost only $100,000. In addition, entities licensed to offer gaming over the internet will have to pay a tax of 15% of their gross interactive wagering receipts. Management companies will have to hand over $100,000 annually while gaming suppliers will be required to pay $10,000 per year. Personnel who need occupational licenses will be charged $100 yearly although an employer can pay this fee on behalf of an employee. What About Online Sports Betting? The Interactive Wagering Act doesn’t deal with the topic of sports betting whether online or offline. 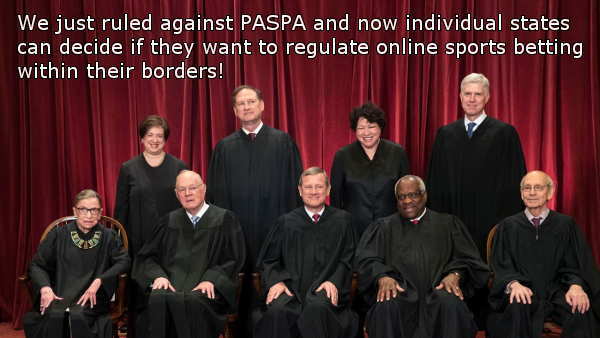 This subject didn’t need to be addressed this time around because betting on sports had already been legalized by the West Virginia Lottery Sports Wagering Act (S 415), which became the law of the land in March 2018 – a full two months before the Supreme Court’s Murphy v. NCAA decision even made it possible for states to authorize sports betting to take place within their borders! After the Court issued its ruling, West Virginia authorities hurried to complete the regulations needed to see sportsbooks open within its territory. This was accomplished fairly rapidly, and the first WV-regulated bookmaking concerns started appearing in September 2018. The first mobile sports wagering app followed in December. 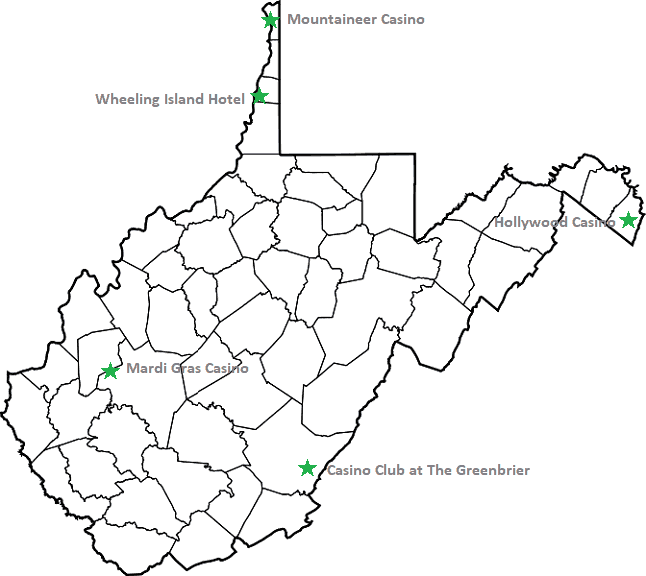 There have been attempts in the past to get online gambling legalized in West Virginia. State Delegate Shawn Fluharty (D), having had his eyes on the prosperous New Jersey online gaming scene for a while, endeavored to pass the needed laws in 2017 and 2018. However, his efforts made little progress. This year, Fluharty introduced similar legislation, but this time, he worked together with fellow State Delegate Jason Barrett (D) who was the actual lead sponsor of the bill. Fluharty, along with nine other lawmakers, signed on as co-sponsors. After being introduced in the House of Delegates on Feb. 8, the bill moved rapidly through the House Judiciary committee and the requisite three readings on the House floor. It was then approved in a 72-22 landslide on Feb. 22. Progress in the Senate was similarly swift. Although several state senators attached amendments to its text, this didn’t seem to slow the legislation’s passage through the chamber. It was introduced on Feb. 23 and OKed on March 8 with a vote of 26 to 7. Because the Senate version of the text was different from that originally passed in the House, the Act had to proceed to be approved by this latter chamber again. They rapidly did so on March 9. 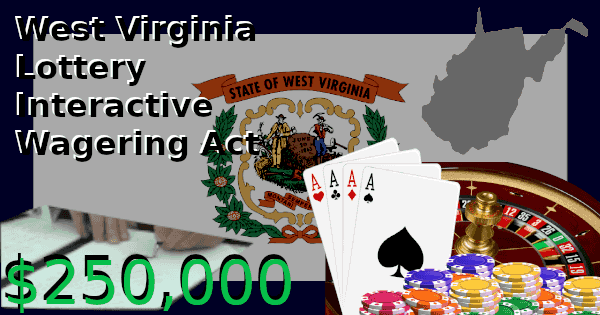 The West Virginia Lottery Interactive Wagering Act then went to the governor’s desk for his signature or veto. However, he declined to take either action, and after 15 days, the bill became law automatically. One of the reasons for Governor Justice’s failure to act may be his ownership of The Greenbrier. 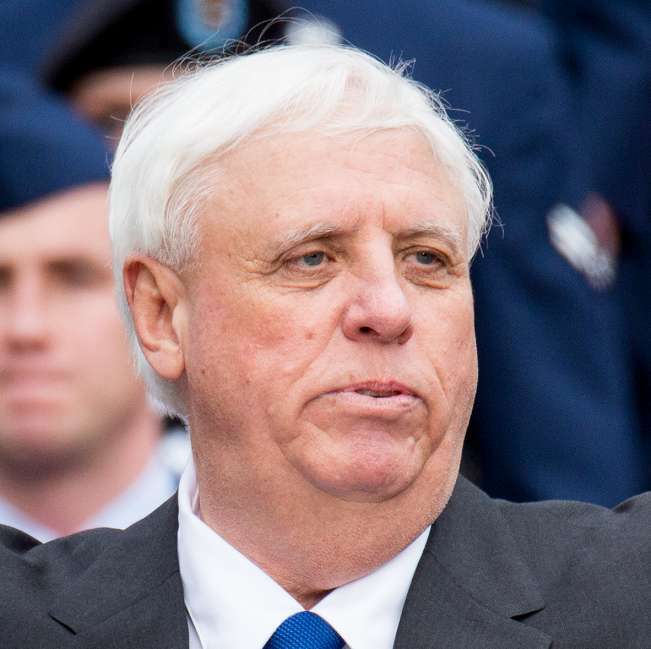 Due to a potential perceived conflict of interest as the proprietor of an establishment that would see its fortunes improve with the legalization of internet gaming, Jim Justice probably felt it was best to remove himself from the decision as much as possible. The new law states that it will come into effect 90 days after passage, which is on June 7. Yet even when this date arrives, we must still wait for the Lottery Commission to formulate regulations for the field and to evaluate license applications. Looking at the interval of time between the passage of sports betting legislation and the opening of the first WV sportsbook, we see that it took around six months. However, two of these months were effectively lost because the state government was waiting to see how the Supreme Court would rule in Murphy, so it’s possible that we may see a shorter delay when it comes to online poker and casino games. Yet, we must bear in mind that these first West Virginia sports betting outlets were physical properties rather than virtual betting parlors. Indeed, it took three more months for the first mobile and online WV app for betting on sports to appear. Therefore, it’s clear that it does take some additional period of time to develop and test the IT infrastructure and user interfaces associated with wagering in an online environment. While West Virginia-licensed online poker and casino platforms may become available some time later this year, we feel it’s more likely that they will begin in earnest in 2020. While online casino gaming doesn’t really depend on population figures for its sustainability, at least not to any great extent, poker is a different matter altogether. You see, because of network effects, poker traffic tends to snowball and generate even more participation. Conversely, a dearth of players at the tables means that others who see empty lobbies opt to pursue other forms of entertainment, contributing to declining player liquidity levels. This is especially problematic in a small state like West Virginia with its 1.8 million residents. This is fewer than any other legalized online gambling state apart from Delaware. And Delaware’s regulated internet poker market was a dismal failure until it joined a compact with Nevada to pool user traffic. New Jersey has since joined the agreement, further enhancing its effectiveness. Unfortunately for West Virginia, aspiring internet betting powerhouse Pennsylvania, and the three other USA licensed online poker states, the Department of Justice has released a reinterpretation of the Wire Act that threatens to upset the apple cart. The new position of the Justice Department is that the Wire Act prohibits all forms of interstate betting, not just wagering on sports. If this is an accurate reading of the law, it would mean that multi-state arrangements to permit cross-border gambling, like the multi-state compact for poker traffic sharing, would be illegal. As could have been predicted, this directive from the Department of Justice caused an outcry. New Hampshire is suing the Department, and several other state governments have banded together to support New Hampshire’s case. The DoJ has already indicated that it won’t be enforcing the new opinion anytime soon, but it hasn’t backed off from its stance that interstate online poker is against the law. 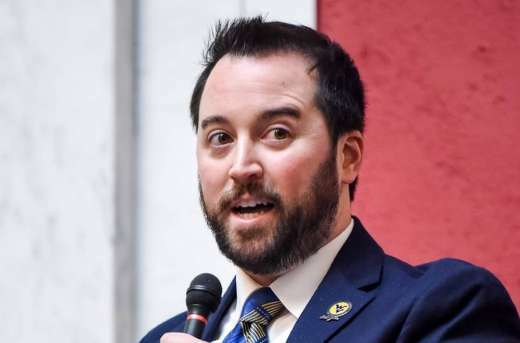 It’s too early to tell who will prevail in the legal contest, but if it goes the wrong way, the writing could be on the wall for WV legalized internet poker before it even debuts. If you’re a West Virginian, then it might be worthwhile to set up an account at an offshore poker site or two. When and if the licensed WV internet poker scene comes to fruition, there’s a decent chance that some international gaming firms will exit the state. This is what happened in several other regulated gambling jurisdictions across the United States. Yet, it’s highly likely that they’ll grandfather in all existing West Virginia clients and allow them to keep playing. By opening your accounts today, you may be able to preserve your ability to enjoy the best of what unregulated poker companies have to offer. This way, you’ll have a backup in case the legalized WV online gaming ecosystem turns out to be disappointing. Read our page devoted to online poker in West Virginia for further information. If you live somewhere in the United States besides West Virginia, then perhaps our offshore USA poker guide would interest you instead.